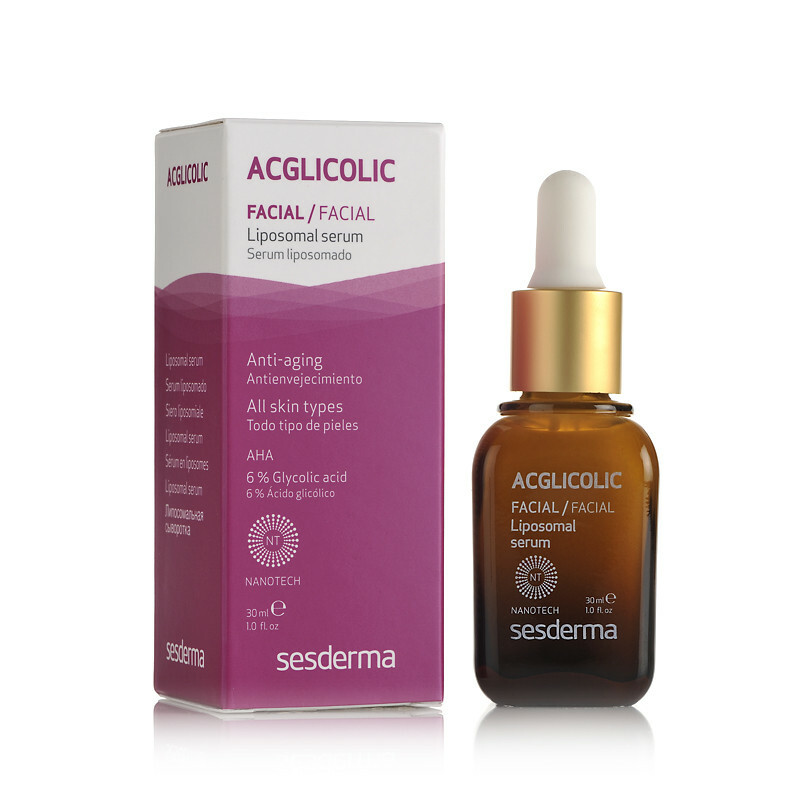 Concentrated anti-aging serum concentrate with free and liposomed glycolic acid which renews, regenerates and hydrates the skin. 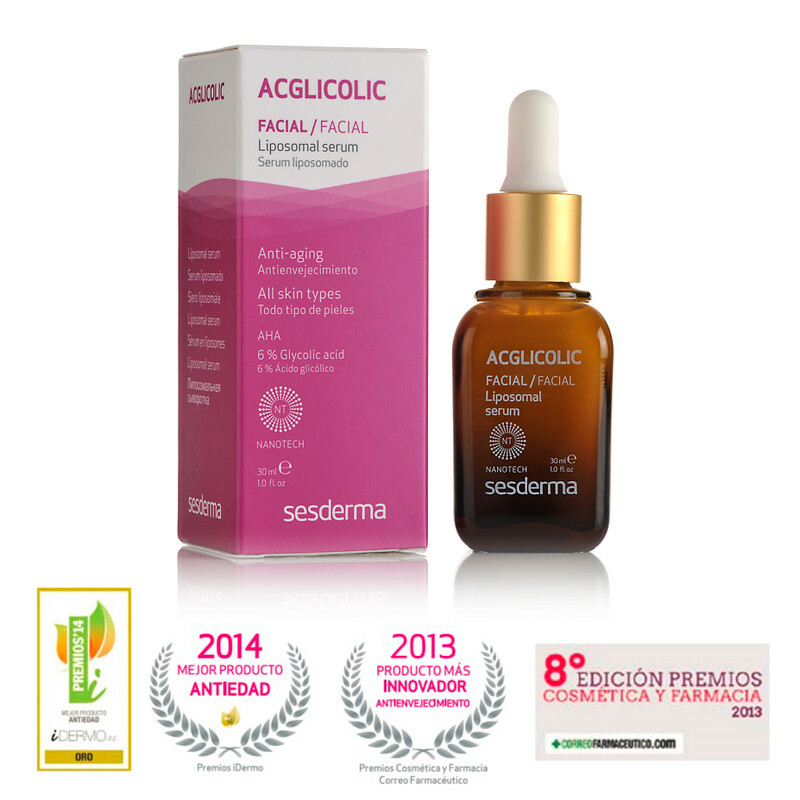 Ideal for all skin types as base treatment. 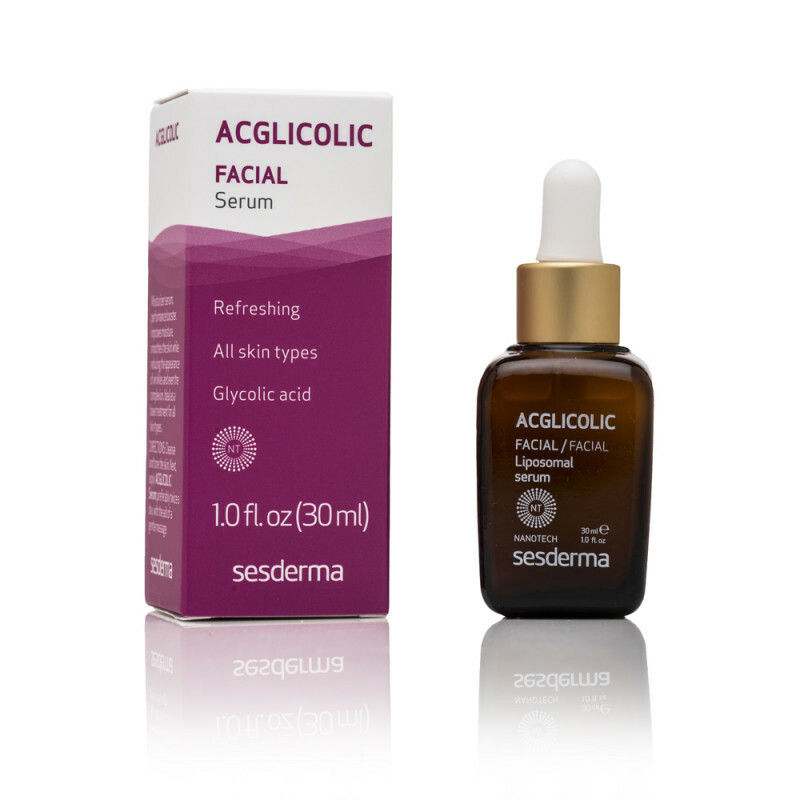 Glycolic acid (GA) is an active ingredient (alpha-hydroxy acid) of natural origin, obtained from sugar cane, with high moisturizing, refreshing and regenerating properties. There is no available video. 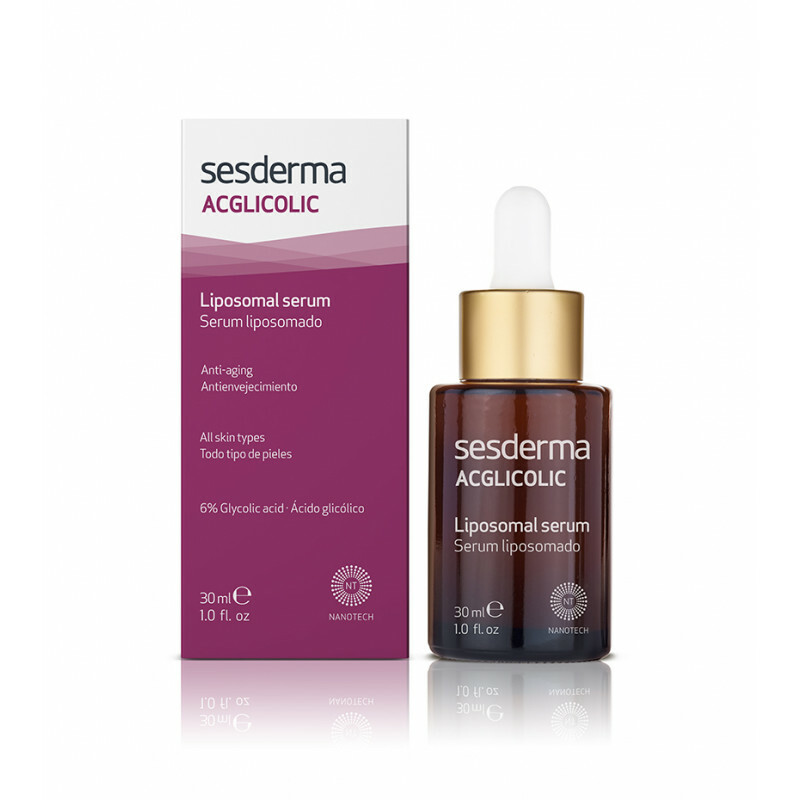 Free and liposomed glycolic acid, ergothioneine and Vitamins C + E encapsulated in liposomes, Eryngium maritimun stem cells , boswellic acid, hyaluronic acid and soy extract. Apply 4 drops in your hand and massage on the areas to be treated before your regular treatment.